Route 66. A timeless beacon of Americana. History has weathered the once great vein that was a gateway to the American Southwest. But if we look closely enough, it isn’t gone. The physical manifestation may be deteriorating, but the soul of what it embodied is richly present. 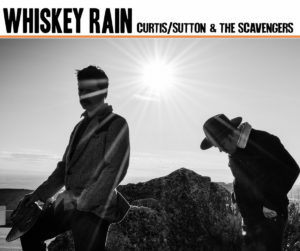 If I were to give you an example of said rich presence to Route 66, today, I would look no further than Whiskey Rain by Boise’s Curtis/Sutton & The Scavengers. Don’t go looking for a rendition of “On The Road Again,” you won’t find it. But like the great lanes of Americana, stop looking for what was and start looking for what is. Like the highway, Whiskey Rain crafts a seemingly simple but complexly technical compilation encapsulating a stunning beauty of gritty yet harmonizing combinations to deliver a remarkable journey. But I caution anyone reaching for simply nostalgia. It doesn’t exist here. The dusty boots and worn wood feeling of Curtis/Sutton’s latest thrives in the soul of the American west while possessing rich, organic fresh twelve new tracks. Almost immediately, the spacious presence of Whiskey Rain sinks its hooks into your wanderlust. “Bacon and Beans” twangs and picks before Rain slips into the steely guitar of “Want it to Work.” The pairing of Ryan Curtis and Charlie Sutton is certainly an odd couple, vocally, on paper. Yet, as they exchange lyrical web-weaving, most notably for the first time, it is refreshing to hear Curtis and Sutton’s vocals settle into a sound that compliments the lyrics as much as they do the tracks they accompany. Where their self-title EP felt somewhat of a hand-off from song to song, the fluidity of Rain frames a songwriting maturity and tracking assembly that showcases just how damn good these picking musicians can be. Emphasis on “damn good.” If post-country bluegrass were a thing, hell it very well could be now, it is Curtis/Sutton & The Scavengers. The shaking slide of “No Good Son,” in its subtle yet captivating darkness, splices foot tapping and poetic waxing where strings and rolling banjo/guitar dances construct the title track in a way that can only justly be described as Curtis/Sutton & The Scavengers. In all, where harmonies should not work, yet ultimately seamlessly blend, and where gravelly moves between the light, Whiskey Rain is a call to bathe in the glory of Boise folk. I’ll be damned if I’m not first in line to that calling. In what is truly the first full-length release from Curtis/Sutton & The Scavengers I can definitively say they have poured the glass, passed the bottle, and delivered on an original album that the listener is bound to enjoy listening to as much as they should be proud. The dusty roads of Americana are thriving under the boots of Whiskey Rain. 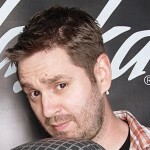 This entry was posted in Reviews and tagged album, Americana, Boise, CD, Curtis, Folk, new, Post-Country, Route 66, Scavengers, stream, Sutton, Whiskey Rain by Greg. Bookmark the permalink.